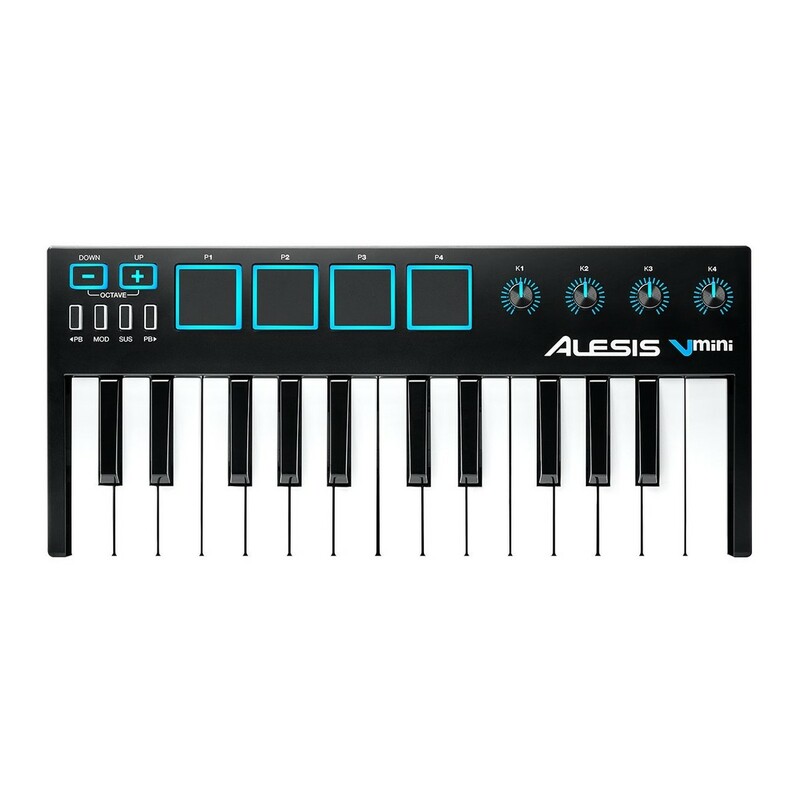 The Alesis V Mini MIDI Controller features 25 velocity-sensitive mini keys and dedicated octave controls, expanding the creative possibilities and providing a full melodic range for playing bass lines, chords and/or melodies. Editable pitch-bend, modulation and sustain buttons add a new level of expression; four assignable knobs allow you to manipulate plugins/virtual instruments; and the four velocity-sensitive pads allow you to both launch and finger drum. Complete with a single USB connection for power and sending/receiving MIDI data, as well as Xpand!2 virtual workstation software, the Alesis V Mini is the perfect creation and production tool for musicians on-the-go. 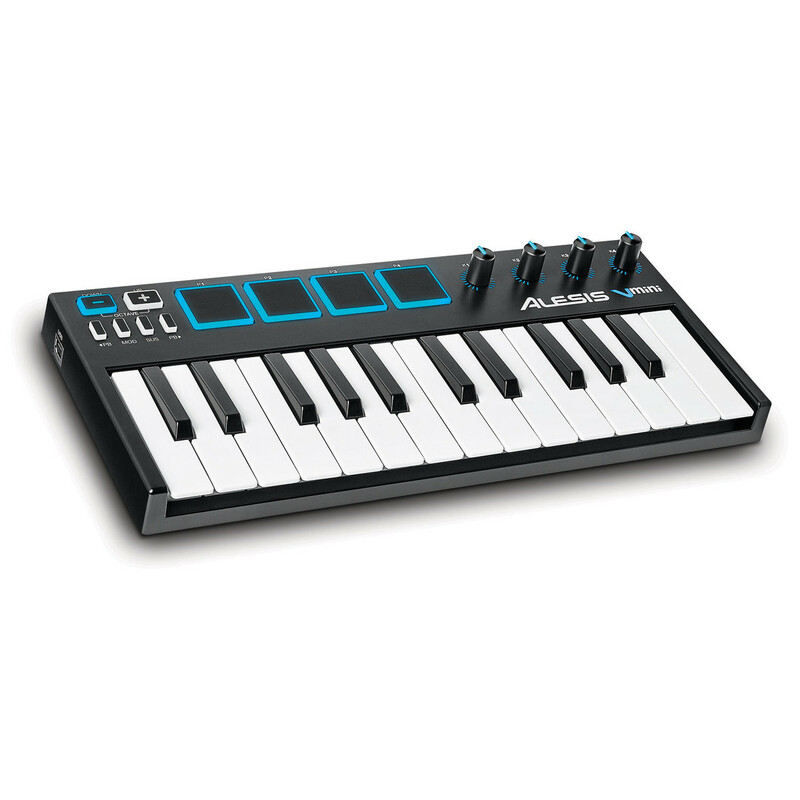 The Alesis V Mini 25-Key MIDI Keyboard Controller features octave up/down buttons to give you access to the full melodic range of the keyboard nd play bass lines, chords, and melodies.Four assignable knobs mean that you can manipulate effect plugins and virtual instruments, allowing you to adjust volume levels, tweak parameters, and activate effects. With the inclusion of Xpand!2 virtual instrument software by AIR Music Tech, you have access to instruments, effects, and plug-ins all within the Xpand!2 workstation. 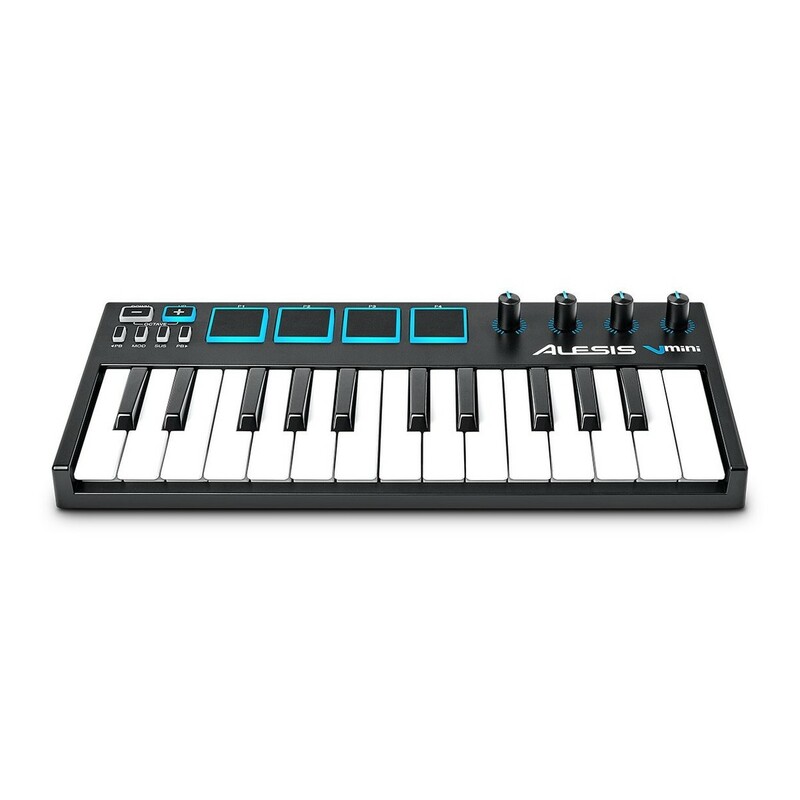 With an included all-in-one workstation, the Alesis V Mini 25-Key MIDI Keyboard Controller is one of the most affordable ways to start producing.